After 24 hours of growth, this image depicts four different agar media culture plates that had been inoculated with Shigella sp., Escherichia sp., and Proteus sp. bacteria, (clockwise: MacConkey, Shigella-Salmonella, Bismuth Sulfite, and Brilliant Green agars). 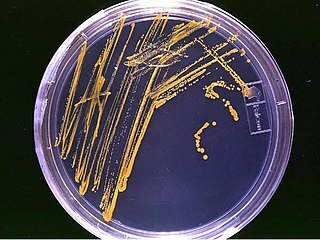 Bismuth sulfite agar is a type of agar media used to isolate Salmonella species. 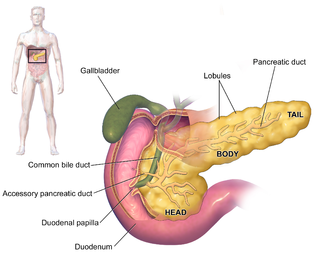 It uses glucose as a primary source of carbon. BLBG and bismuth stop gram-positive growth. Bismuth sulfite agar tests the ability to use ferrous sulfate and convert it to hydrogen sulfide. This medium is boiled for sterility, not autoclaved. 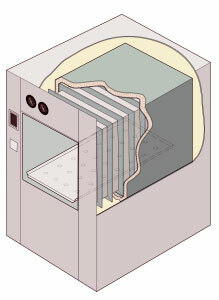 An autoclave is a pressure chamber used to carry out industrial processes requiring elevated temperature and pressure different from ambient air pressure. Autoclaves are used in medical applications to perform sterilization and in the chemical industry to cure coatings and vulcanize rubber and for hydrothermal synthesis. Industrial autoclaves are used in industrial applications, especially regarding composites. Sulfurous acid (also sulphurous acid) is the chemical compound with the formula H2SO3. There is no evidence that sulfurous acid exists in solution, but the molecule has been detected in the gas phase. The conjugate bases of this elusive acid are, however, common anions, bisulfite (or hydrogen sulfite) and sulfite. Sulfurous acid is an intermediate species in the formation of acid rain from sulfur dioxide. 3. The sulfite ion is the conjugate base of bisulfite. Although its acid is elusive, its salts are widely used. Sulfate-reducing microorganisms (SRM) or sulfate-reducing prokaryotes (SRP) are a group composed of sulfate-reducing bacteria (SRB) and sulfate-reducing archaea (SRA), both of which can perform anaerobic respiration utilizing sulfate (SO42–) as terminal electron acceptor, reducing it to hydrogen sulfide (H2S). Therefore, these sulfidogenic microorganisms "breathe" sulfate rather than molecular oxygen (O2), which is the terminal electron acceptor reduced to water (H2O) in aerobic respiration. 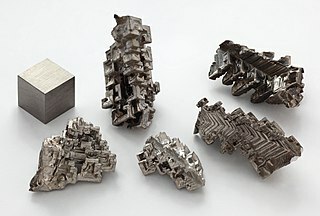 Iron(II) sulfide or ferrous sulfide is one of a family chemical compounds and minerals with the approximate formula FeS. Iron sulfides are often iron-deficient non-stoichiometric. All are black, water-insoluble solids. Trypticase soy agar or tryptone soya agar (TSA) and Trypticasesoy broth or tryptone soya broth (TSB) with agar are growth media for the culturing of bacteria. They are general-purpose, nonselective media providing enough nutrients to allow for a wide variety of microorganisms to grow. They are used for a wide range of applications, including culture storage, enumeration (counting), isolation of pure cultures, or simply general culture. De Man, Rogosa and Sharpe agar, often abbreviated to MRS, is a selective culture medium designed to favour the luxuriant growth of Lactobacilli for lab study. Developed in 1960, this medium was named for its inventors. It contains sodium acetate, which suppresses the growth of many competing bacteria. This medium has a clear brown colour. Sulfur is metabolized by all organisms, from bacteria and archaea to plants and animals. Sulfur is reduced or oxidized by organisms in a variety of forms. The element is present in proteins, sulfate esters of polysaccharides, steroids, phenols, and sulfur-containing coenzymes. Middlebrook 7H10 Agar is a solid growth medium specially used for culture of Mycobacterium, notably Mycobacterium tuberculosis. It has been reported that the 7H10 medium tends to grow fewer contaminants than the egg-based media commonly used for the cultivation of mycobacteria. Lysine iron agar or LIA is a differential media used to distinguish bacteria that are able to decarboxylate lysine and/or produce hydrogen sulfide from those that cannot. This test is particularly useful for distinguishing different Gram-negative bacilli—especially among the Enterobacteriaceae. This bacterial growth medium was developed in 1971 for Lactococcus species isolated from milk products. It was originally called M16 medium, but in 1975 Terzaghi and Sandine added disodium-β-glycerophosphate to the medium as a buffer, and named the new growth medium M17 medium. It was later found that the addition of disodium-β-glycerophosphate inhibits the growth of many Lactobacillus species. Silver sulfite is the chemical compound with the formula Ag2SO3. This unstable silver compound when heated and/or in light it decomposes to silver dithionate and silver sulfate. ↑ Atlas, R.M. (2004). Handbook of Microbiological Media. London: CRC Press. p. 68. ISBN 0-8493-1818-1.